4 and 5 set a double screen for 3. 3 first cuts to the basket setting, so his defender will bump into to the double screen when 3 continues to the top. 3 should take the shot if free. When there is no shot for 3. 4 and 5 set their second double screen this time for 2. 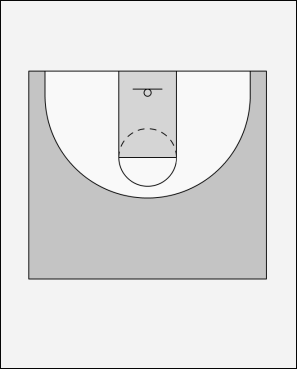 2 uses the double screen and receives the ball from 3. If 2 is free he should take the 3-pointer. At the same time 1 is cutting to the forward position. If there is no shot, 4 goes to the low post. The offense continues with a 1-3-1 set play.